The Grilled Cheese Guru – Just like mom used to make!! A grilled cheese is a grilled cheese, right? I mean, it’s the first meal that most of us learn how to cook at home by ourselves. It’s the perfect midnight snack or soup-dipper. It’s great for kids but is never turned down by an adult. It’s salty, gooey, crisp, buttery, and comforting in all the right ways. You know before you even bite into a grilled cheese whether it’s going to be transcendental or not. Look at a perfect one, and cheese slowly oozes from the edges. The bread’s face is an even golden-brown that’s suffused with butter. Pick it up, and you can feel the butter in the bread (but it doesn’t leave your fingers greasy—at least, not too greasy), while the crust is crisp yet flexes ever-so-slightly, revealing a layer of tender crumb underneath. And that’s all before you shove that glorious cocktail of textures and wholesome goodness into your mouth. So, what are the secrets to the best grilled cheese? 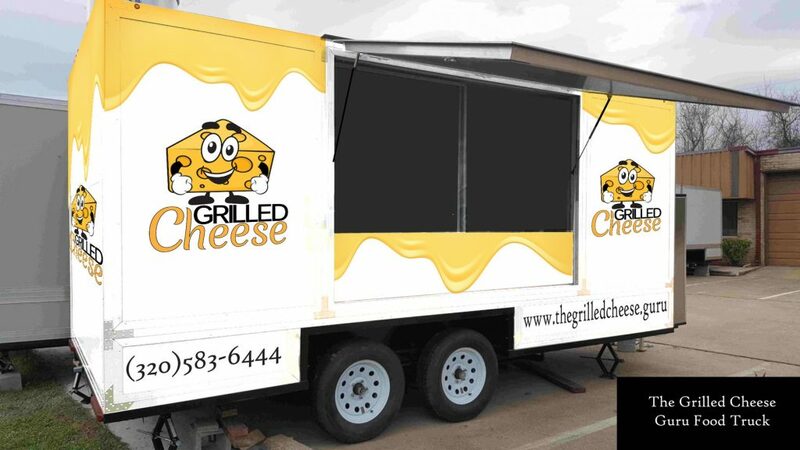 The Grilled Cheese Guru of course! We use only Bongardes Premium Cheese for wholesome family goodness. Grilled Cheese ... Just like Mom used to make!! Looking to invite us to participate in your event, show or expo? Do you need a vendor that’s family oriented and kid friendly? We pride ourselves in providing quality food on a family budget. Contact us to let us know how we can serve you!